Innovations and products usually stem from addressing a need–this has become evident with technology. 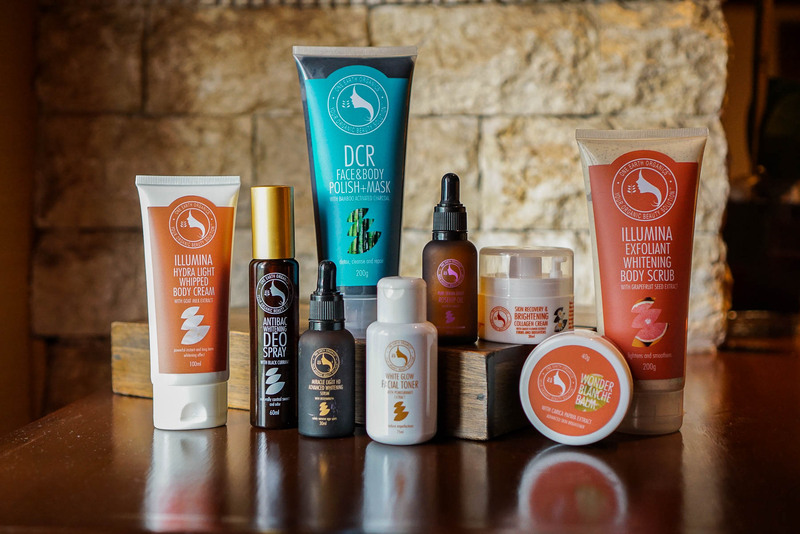 While for most beauty products addressing certain concerns has paved way for the rise of businesses founded by women who are very keen on finding a solution–such is home-grown brand One Earth Organics. 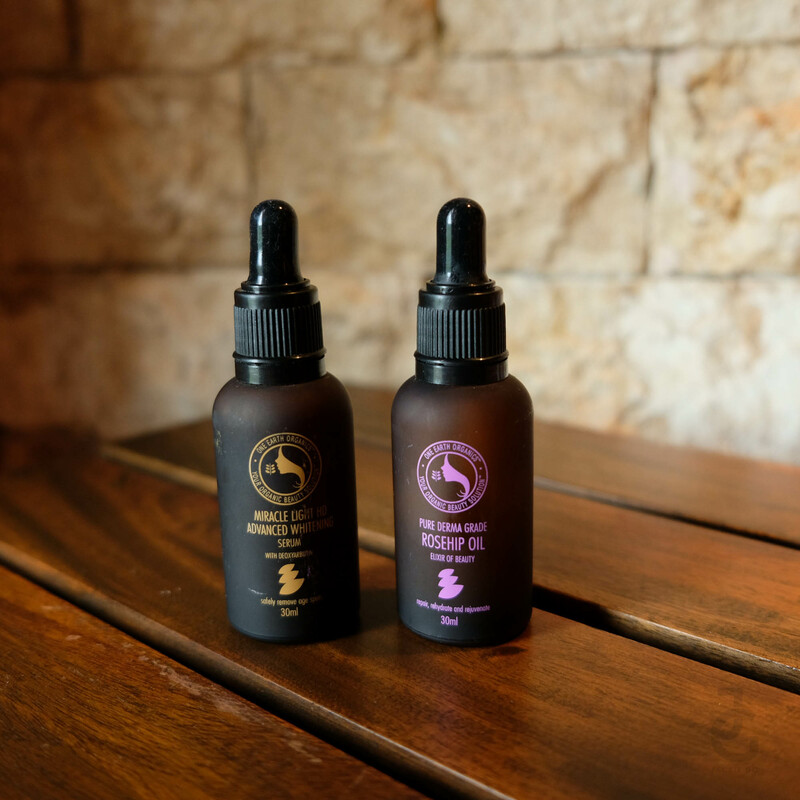 Founder of One Earth Organics Tyffanie Short started the company with the idea of addressing underlying skin conditions by creating products that are not just unique but safe and effective as well. The obsession with developing scientifically advanced, clinically proven safe and amazingly effective anti-aging, clarifying and brightening skin care products from nature has lead them to something bigger, better and brighter. One of their most popular product is their Antibac Whitening Deo Spray which I myself was very excited to try. One-Earth Organics is a research and development oriented company that puts innovation and quality first by only using the best, most potent, nontoxic and healthiest natural and organic ingredients. Truly there is a rise of organic products in the past years and though I am all for natural, I haven’t really tried a lot. Honestly, I’m just not certain if my skin would react differently because I grew up using soap and water and really have been accustomed to using what was mostly advertised by big companies. 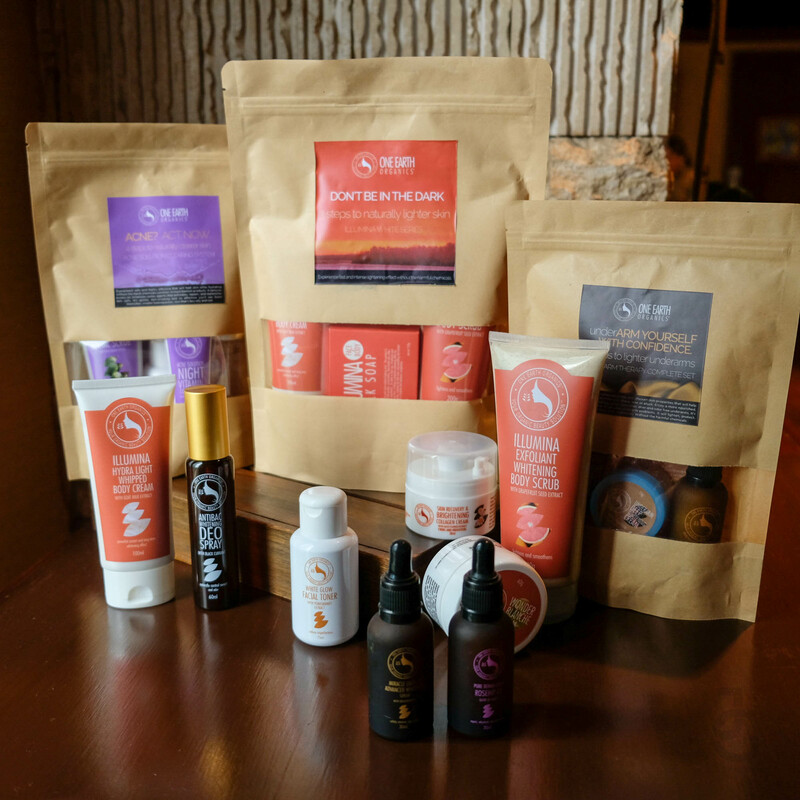 So when One Earth Organics invited me to try some of their products, I accepted their invitation because I’ve seen the brand’s name pop up on different beauty chats and threads online. They’ve got the basics covered: soaps, oils & serum, body creams, body scrubs and even a system for whitening, acne solution and underarms. Can you see the excitement in my eyes as I was about to try their body scrub? Hahahaha. 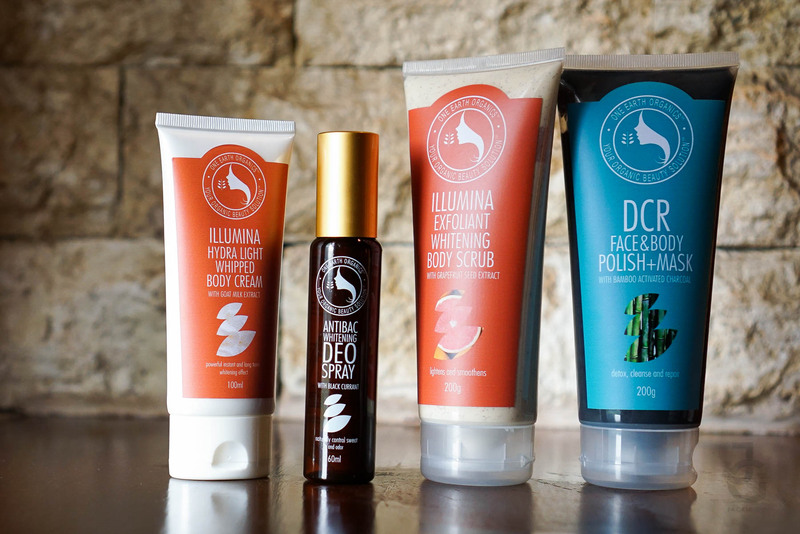 So I tried One Earth Organics DCR Face & Body Polish + Mask. 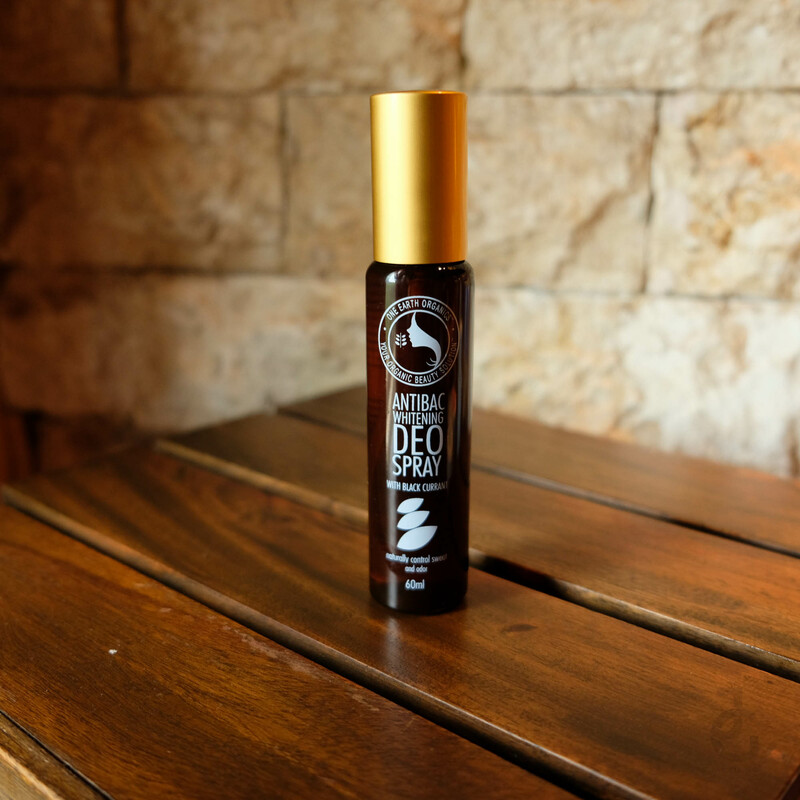 It has bamboo activated charcoal that cleanses, detoifxies and repairs one’s skin. My hour-long body scrub at Chi Spa in Edsa Shangri-La was nothing short of aaahmaaaazing. I literally fell asleep as soon as my therapist started on applying the mask all over my body. After rinsing I immediately felt the difference–smooth and soft skin, very evident especially on my underarms! 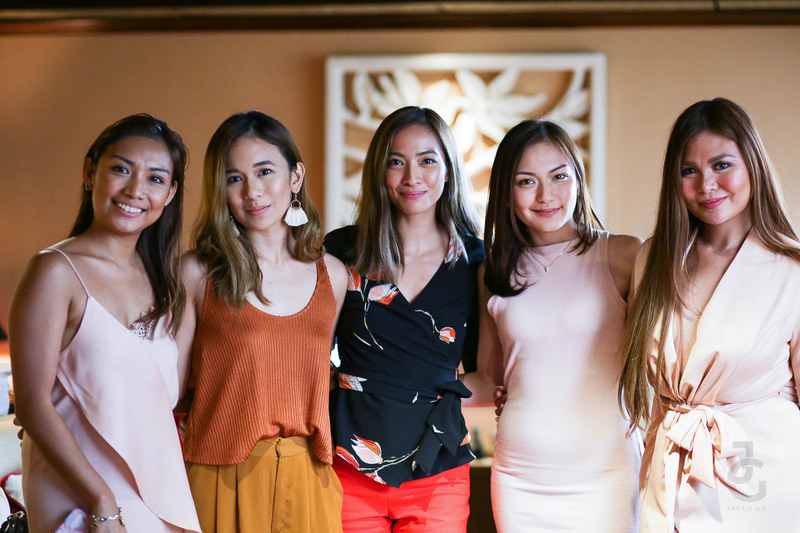 The ladies behind One Earth Organics–Charisse Pestaño-Diaz, Ria Perez-Olonan and Tyffanie Short together with Shari of The Misty Mom and I. Thank you so much ladies for the lovely afternoon of pampering. I am on my second week of using One Earth Organics Anitbac Whitening Deo Spray and I’m loving it. It’s lightweight, fragrance-free, non-sticky and dries fast. No to baskil sya girls! Hahaha. One Earth Organics is available online through their resellers. Get in touch with them through 09175846569. 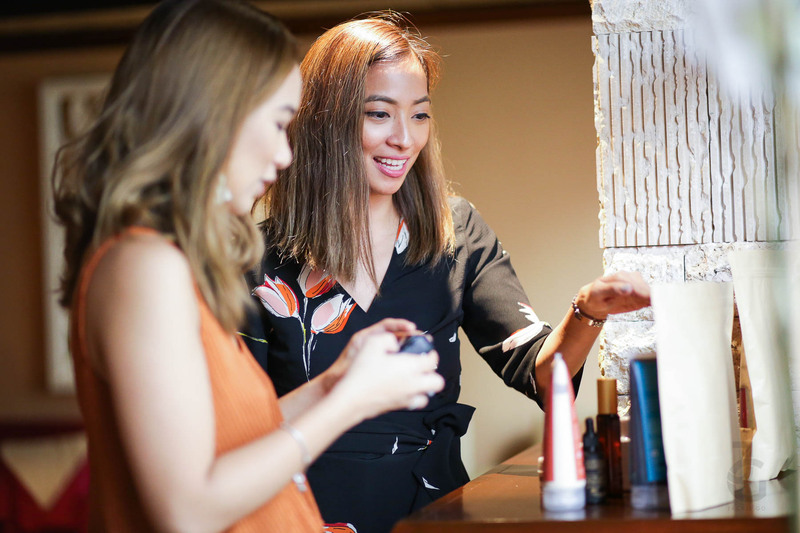 It is also finally available at select Beauty Bar stores: Power Plant Mall, Robinsons Magnolia, Robinsons Midtown, Glorietta, EDSA Shangri-La, Century City Mall, Central Square Lucky Chinatown, and Ayala Mall Cebu.